Fear and inhibition are two roadblocks that often get in the way of accomplishing goals. The Success Model provides a five-step system to overcome these challenges. 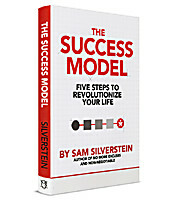 Sam Silverstein explains how identifying your desire to succeed and accepting change are essential to bridge the gap between dreams and reality in order to achieve positive results.